The municipality is removing bike racks in the city centre in preparation for King’s Day, and bikes left parked at certain locations are likely to be towed away. Starting at 6 p.m. on 26 April, the city centre will be closed to bicycles. 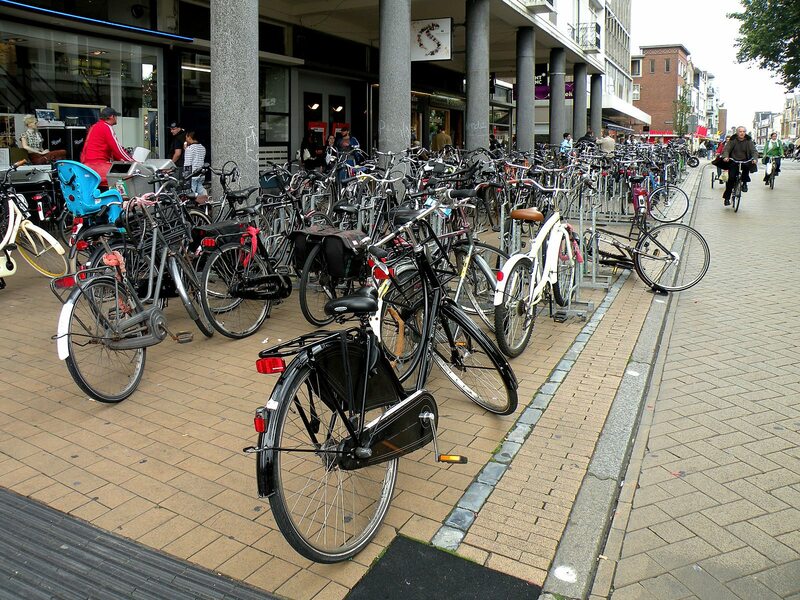 The Groningen Internet Courant reports that the municipality has temporarily removed the bike racks from the Prinsenhof hotel, ‘t Feithuis restaurant, the square in front of the Academy Building, the south side of the Vismarkt and the Stoeldraaierstraat over the past few weeks. Those locations will be part of King Willem-Alexander’s walking route through Groningen. The bike racks are being removed in order to make room for thousands of expected party goers coming to Groningen for King’s Day. According to Sikkom, the bikes themselves could also pose a threat: thousands of bikes on the sidewalks would be an obstacle in the event of an emergency, and a bicycle bag could be used to hide an explosive device. The municipality is taking other security measures to keep the city and visitors safe during the royal visit. Roadblocks have been set up at twelve different locations through the city centre, including the Vismarkt.